Ah, Valentine’s Day. The season of love. After the gloom of January, it is awesome to fill your home with cheerful colours and hearts…lots of hearts. The best part about Valentine’s Day is all the beautiful crafting that can be done…right? 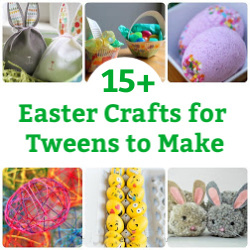 Younger kids make the sweetest crafty creations and older kids can make things a little more complicated. Everything is being made to share with friends. Teaching kids to feel comfortable sharing their love or “like” with other kids is a very important life skill. After all, if you can be anything in the whole entire world – be kind. 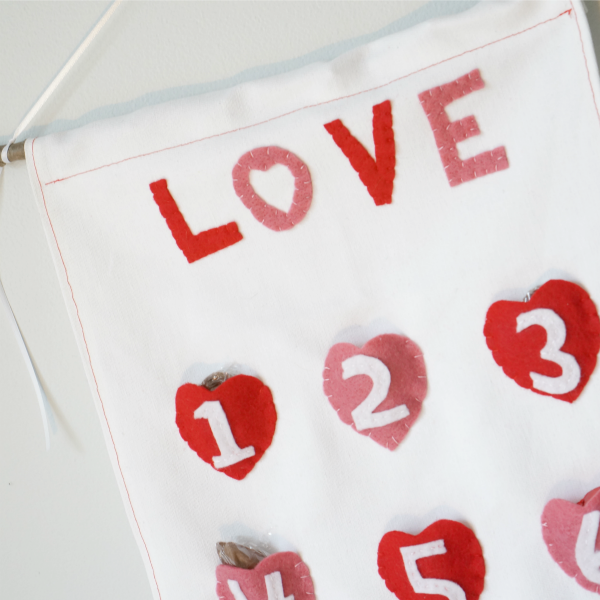 So, we’ve put together all of our favourite Valentine’s Day crafts for kids to make in one spot. Hop around the links and discover all the joy and fun that is Valentine’s Day. Silly Printable Valentine’s Day Jokes for Kids – The kids are going to love these silly jokes. Perfect for the lunchbox! 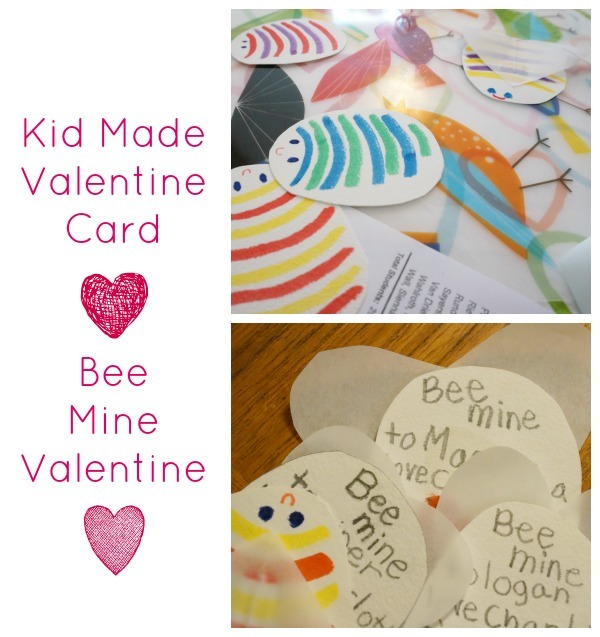 Kid Made “Bee Mine” Valentine’s Day Cards – The classic bee cards, your kids will make with love. Newspaper Upcycled Heart Valentine Cards – Transform newspaper hearts into lovely, imaginative Valentine Cards for classmates. Newspaper Heart Garland – Fill your home with hearts! 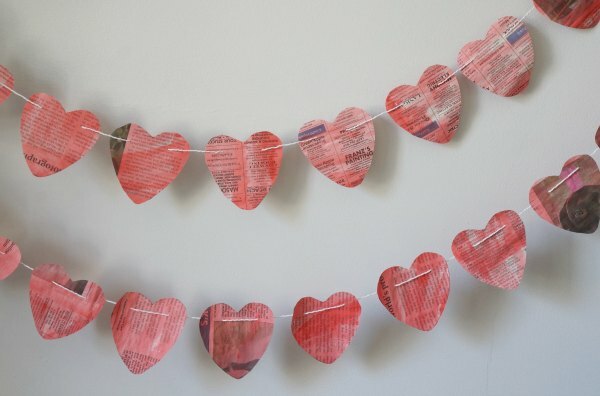 Easy to make painted newspaper heart garland, kids can make and hang. Cardboard Roll Valentine’s Heart – The kids are going to love painting, putting together and then hanging this heart on your front door. 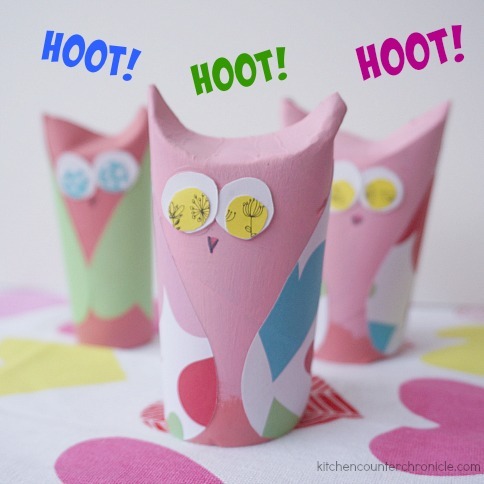 Simple Kid Made Owl Valentine – Give a Hoot! A sweet owl Valentine, with a free printable card. Perfect for classmates. Give a Kiss and Get a Kiss Jar – A funny game to play with your kids all February long. Share kindness and get a sweet chocolate reward. Valentine Heart Necklace – Cut, paint and create a heart necklace from simple cardboard tube. Valentine’s Day Potato Stamped Cards – If you have a potato, then you have a potato stamp. Little ones will have stamping cards for their friends. 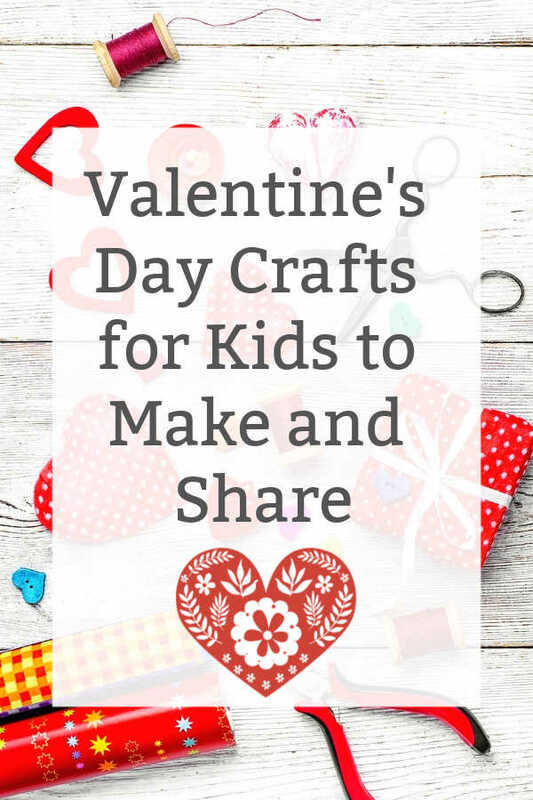 10 Fabulous Valentine’s Day Crafts for Older Kids to Make – This is the very first collection of crafts for kids aged 7-12 to make. Lots of fun ideas to inspire. 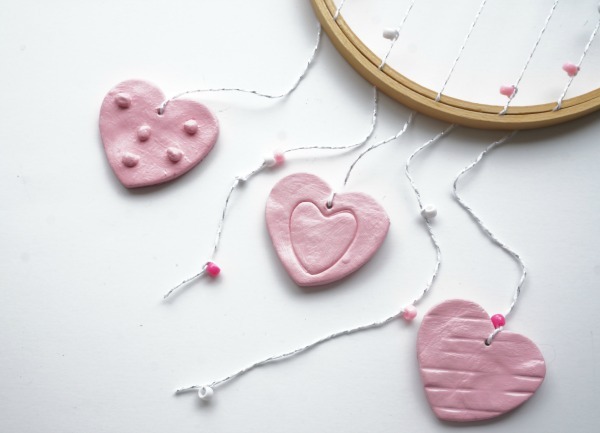 DIY Clay Valentine’s Day Heart Wall Hanging – Hang your heart on the wall this Valentine’s Day. A boho design that tweens will love to create. 40 More Epic Valentine’s Day Crafts for Older Kids to Make – Yep, we put together another collection of V-Day crafts for tweens and teens to make and share. Valentine Felt Hearts 3 Different Ways – Make one style of felt heart and use it in 4 different craft projects. Valentine’s Day Countdown Calendar – Start at the beginning of February and countdown with a daily chocolate. 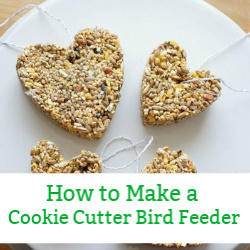 A simple DIY craft to make and use for years to come. 10 Valentine’s for Older Kids to Make and Share – Our latest collection of ideas from around the web. 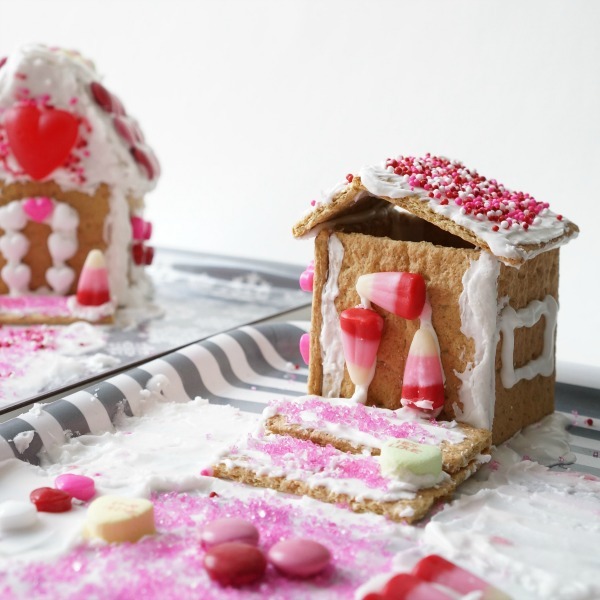 Build a Graham Cracker Love Shack – Why only make a gingerbread house for Christmas? Make a love shack this Valentine’s Day. Valentine’s Day Recipes – A whole day filled with Valentine recipes – breakfast, lunch and dinner. Super Cute Heart Shaped Chocolates – These couldn’t be any easier to make and everyone loves chocolate for Valentine’s Day. Valentine’s Day Dessert – Strawberry Fool – Don’t be a fool this Valentine’s Day, make this deliciously simple dessert and impress your loved ones. 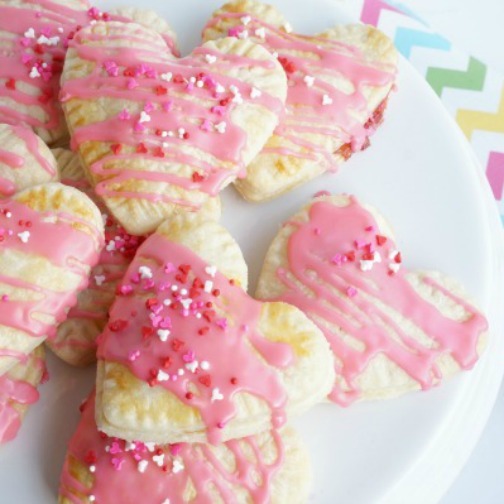 Valentine Shaped Strawberry Pop Tarts – Bake and share handmade strawberry pop tarts…shaped like little heart hand pies. Valentine’s Day Mini-Cakes – These colourful cakes are coloured with beets – not artificial dyes. And they are sweet and delicious. 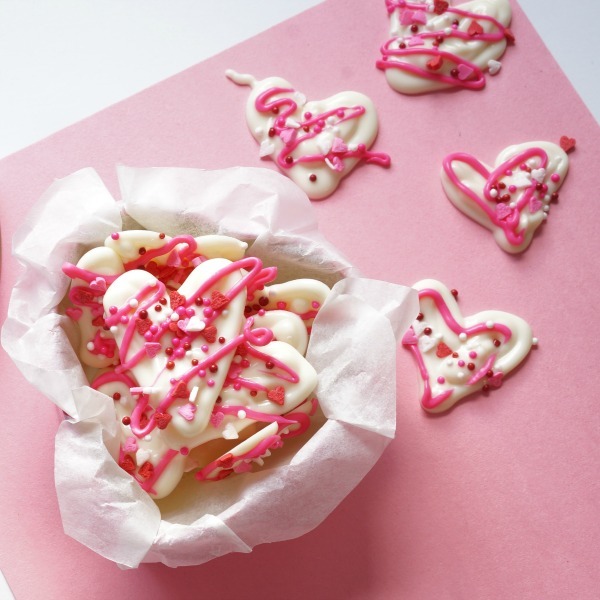 10 Simple Valentine’s Day Baked Treats – Get baking and take inspiration from this collection of baked treats from around the web. 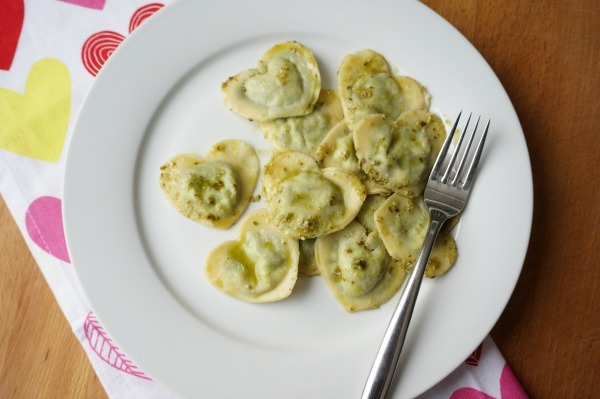 Heart Shaped Ravioli – Show your love with homemade pasta and pesto. A recipe and step by step tutorial for making heart shaped pasta. 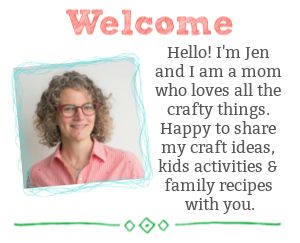 LOOKING FOR MORE CREATIVE WAYS TO CONNECT WITH YOUR KIDS ? BE SURE TO SUBSCRIBE TO RECEIVE OUR IDEAS DELIVERED DIRECTLY TO YOUR INBOX.